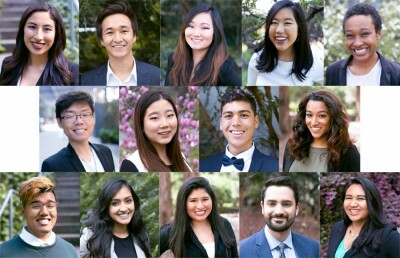 With the ASUC elections approaching, CalSERVE released its executive candidate slate Wednesday, one year after Student Action’s sweep of all four partisan executive seats. 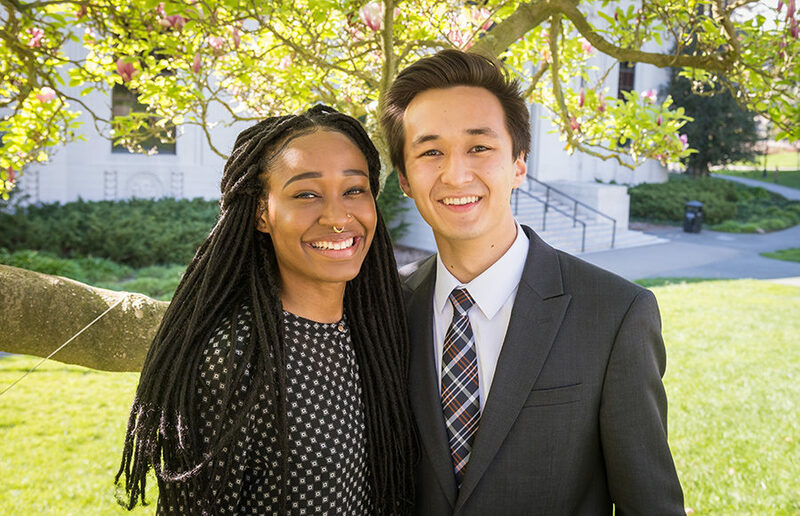 CalSERVE will run current senators Zaynab AbdulQadir and Rigel Robinson for president and external affairs vice president, respectively — half the size of last year’s executive slate. The decision to run a slate of two, rather than four, was made in order to foster deeper relations between candidates within the ASUC during elections season, according to AbdulQadir. A junior double majoring in African American Studies and interdisciplinary field studies, AbdulQadir is running a campaign on platforms geared toward improving campus climate, ensuring students’ basic needs are met and holding administrators accountable in order to ensure student safety. Specifically, she wants to create a thorough reporting system to better address campus hate crimes, work with the financial aid office to make affordable housing more available to students and strengthen programs such as the UC Berkeley Food Pantry. In fall of 2017, the campus will conduct its first campus climate survey, which AbdulQadir intends to help organize in order to better gauge the experiences of students, including queer, trans and students of color. As ASUC president, she also would also work to make the Martin Luther King Jr. Student Union, specifically Pauley Ballroom, more accessible to students so they can utilize the space to host events more often. In her efforts to provide additional areas for students to destress, she intends to ensure new academic buildings on campus are built with more spacious study spots. AbdulQadir, who helped spearhead the effort to secure the Fannie Lou Hamer Black Resource Center, is currently the Black community — and Berkeley Student Cooperative-endorsed senator. As a freshman, AbdulQadir served as the chief of staff for then-senator Alana Banks, while from 2015 to 2016 she was the diversity and equity policy director in the policy department of the ASUC Office of the Academic Affairs Vice President. Robinson, who is a junior majoring in political economy, is running on platforms designed to strengthen the campus community, make tuition more affordable and engage students in state and national politics. He said that if elected, he intends to work to persuade the university to develop more affordable housing for students, launch a campaign aimed at preventing enrollment increases to impacted campuses and make legislating more available to students through the UCSA. According to his plans to make student housing more affordable, Robinson would work to convince the university to prevent the proposed development of the Oxford Tract and build more housing in place of the hotel slated for development in Downtown Berkeley. 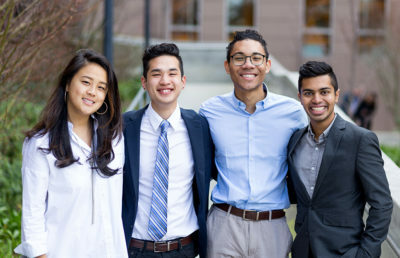 Besides fulfilling his role as a senator, Robinson is the chair of the real estate student board and serves as the ASUC representative for the Chancellor’s Advisory Committee on Sustainability. In 2014, he was an intern in the office of the ASUC External Affairs Vice President and served as the office’s community development and relations manager in 2015. He is also the founder of campus organization UC Berkeley Students for Bernie, now known as the UC Berkeley Progressive Student Association. 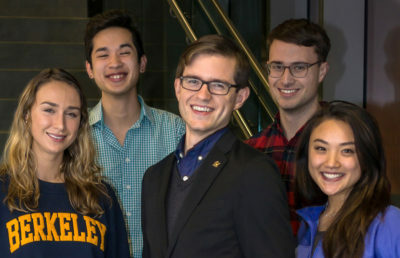 The ASUC elections are scheduled for April 10 to 12. Lead ASUC reporter Sakura Cannestra also contributed to this report.